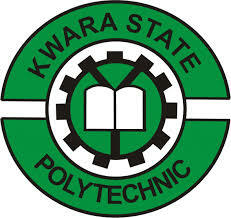 Kwara State Polytechnic, KWARAPOLY Resumption Date and Commencement of First Semester Academic Activities for 2018/2019 Academic Session. This is to inform all students of the Kwara State Polytechnic both fresh and returning students that the resumption date and commencement of academic activities has been announced. All Fresh Students of the Kwara State Polytechnic are expected to resume on the 29th of October, 2018. Registration Commences immediately, while Lectures for fresh students commences on 5th November, 2018. Returning Students are expected to resume on 15th October, 2018. Registration commences Immediately. Lectures for returning Students are to begin on 22nd October, 2018. More details can be seen on the Kwara Poly Proposed Academic Calendar Schedule - 2018/2019.